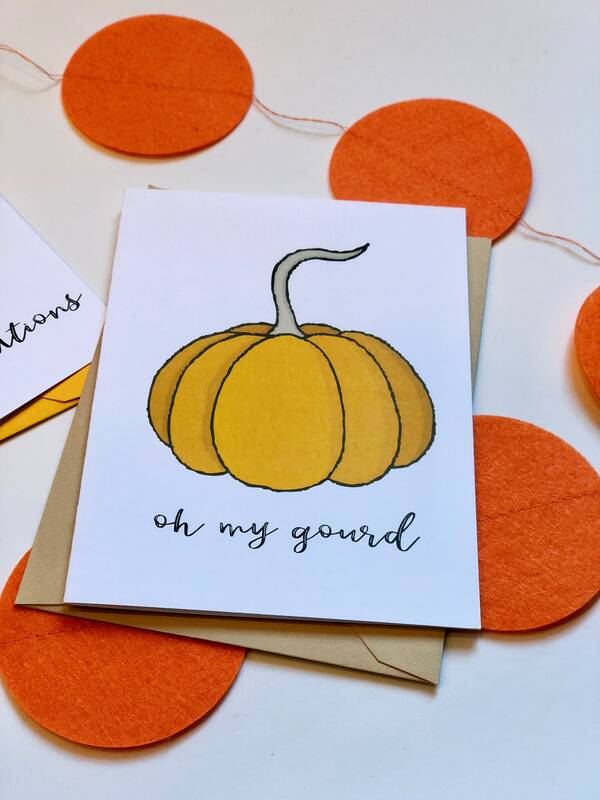 Oh my gourd! 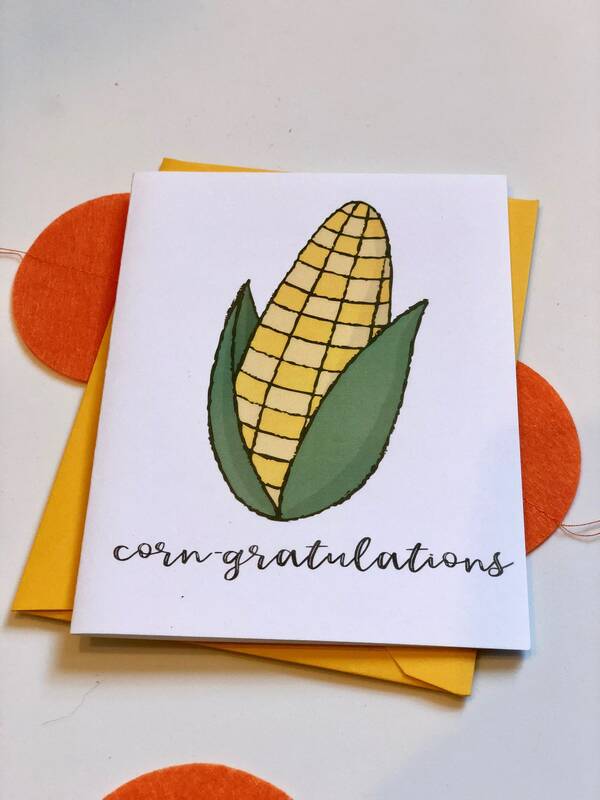 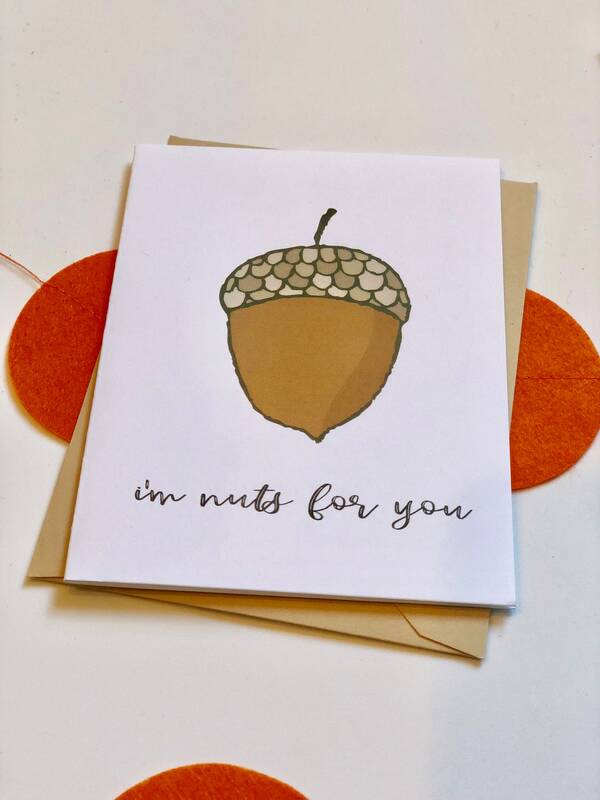 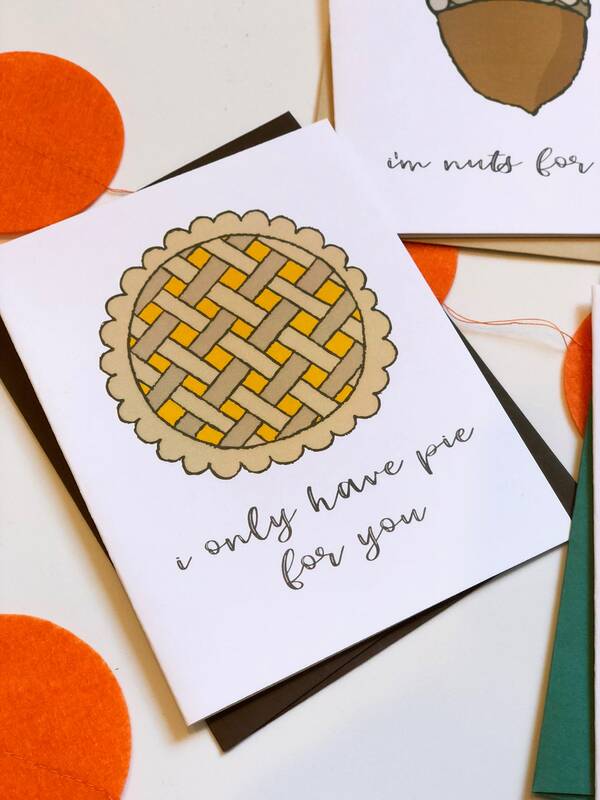 Fall into some fun with these ten funny note cards! 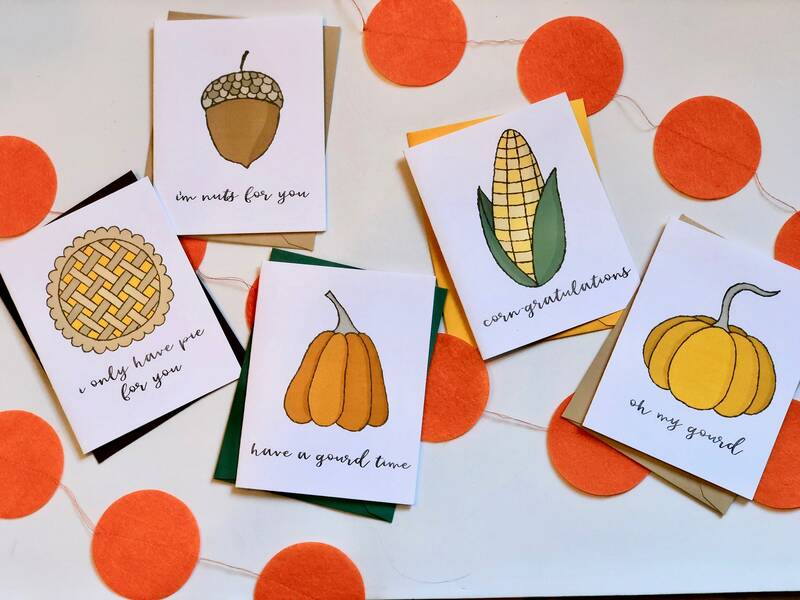 Five designs with two of each are included in the set. 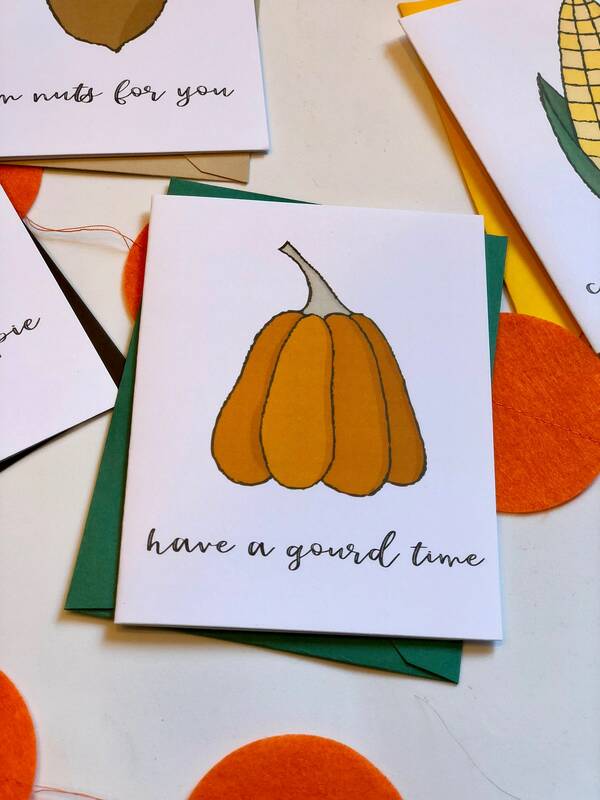 *Acorn: "i'm nuts for you"
*Pie: "i only have pie for you"
*Tall Pumpkin: "have a gourd time"
*Round Pumpkin: "oh my gourd"